Just like two snowflakes, no two witches are alike. 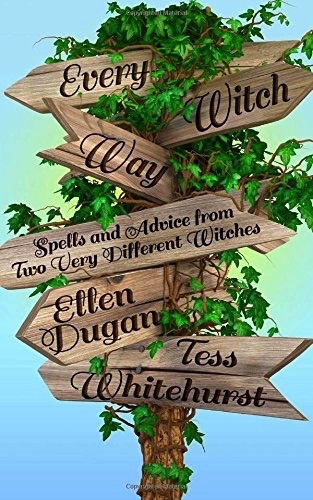 Journey with authors Ellen Dugan and Tess Whitehurst as they contrast their differences, illuminate their similarities, and generally give you the lowdown on the Craft as they know it. Just like two snowflakes, no two witches are alike. 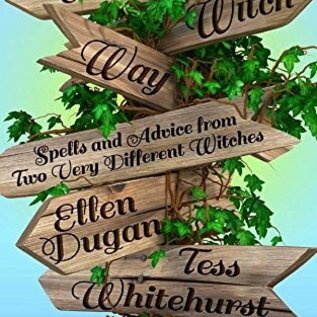 Journey with authors Ellen Dugan and Tess Whitehurst as they contrast their differences, illuminate their similarities, and generally give you the lowdown on the Craft as they know it. Investigate different sides of oft-debated magickal issues as these very different witches square off on subjects such as: • Psychic and energetic protection • Can you be a Christian Witch? • Does “harm none” mean you shouldn’t eat meat? • Angel magick: when is it appropriate? • House cleansing/ clutter clearing • Faerie Magick: Romantic idea or invitation to trouble? Packed with plenty of useful charms, spells, rituals, and magickal principles- and served with a generous helping of wit, wisdom and humor- this fun little compendium will inspire you to happily live the magickal life, while letting your inner power shine bright.